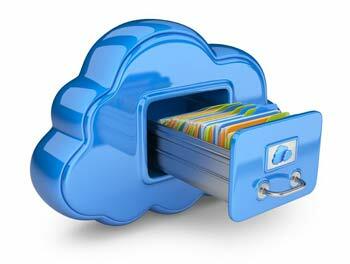 to deliver virtually uninterrupted access to data on site, in the cloud and email services. How much would it cost you if your business was down right now? Can you afford to be crippled from a virus/ransomware attack, Server/PC software or hardware failure or other critical issue? When your email is down, your business stops running! With our expertise and partnerships with companies like Datto, we can easily implement these Business Continuity solutions into your existing network and with MimeCast and Office 365 you can enjoy security as well as many extra features like Large File Send, Secure Messaging, Targeted Threat protection, continuity and more. We can offer companies true protection and up-time for their servers, workstations and even email on any platform they prefer. Implement Virtual onsite and offsite server images to bring your network back to life after a network crisis and to secure your entire server, not just data, in the cloud with 256-bit encryption. 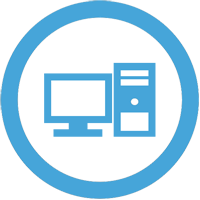 Your network can run in a virtual environment in hours instead of days or weeks, while your local physical hardware and software are repaired by us. Restore files or entire servers. Do hourly backups to avoid full day losses. Total local disaster? Don’t worry, the local virtual server is also backed up to a cloud virtual server you can run off of. Add unlimited Email Archiving for compliance or just piece of mind. We also offer 99 year retention Email Archiving to help you comply with today’s archiving requirements and help you safe guard your network from rogue employees or IT threats. Handle all your retention/archiving needs in a separate login interface or opt for a version that is built for Outlook. These are a few of the many features we can add to your network that other companies just don’t do.